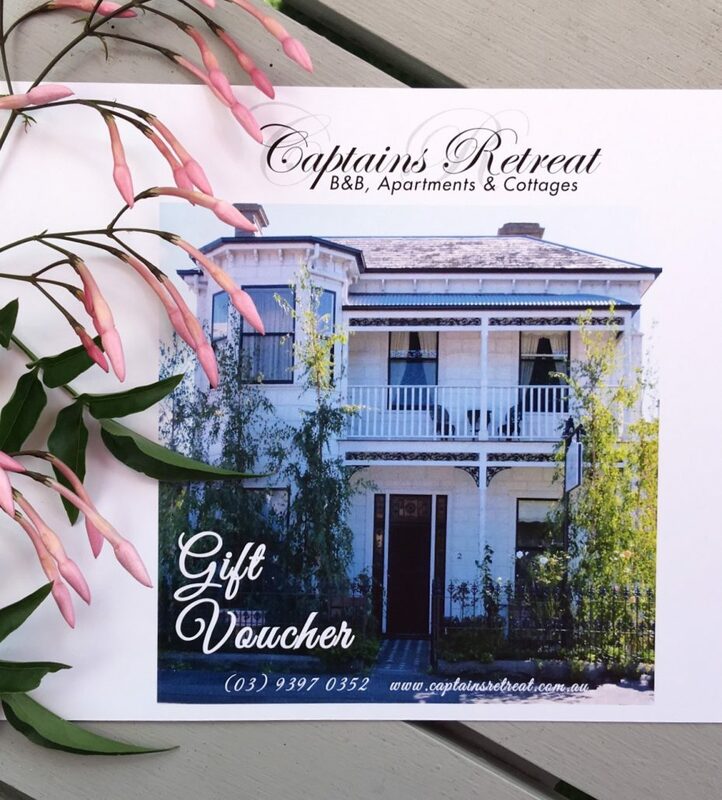 A Captain’s Retreat gift voucher makes a delightful gift for a birthday, an anniversary or for a special friend or friends who need a lovely night or weekend away. Gift vouchers start at around $200.00. Please call or email us if you would like to buy a gift voucher. We’d be very happy to help you choose a beautiful room for your friends to stay in. We would then charge your credit card and post the gift voucher either directly to you or to your friend. We enclose the voucher and a brochure as well as a little booklet on Williamstown so your gift recipients get the best out their experience with us.